Summary: Sea Turtle Conservancy will develop a distance-learning program that will bring sea turtle education to life through virtual field trips. To reach the next generation of technology-savvy students, STC will develop high-quality educational programming to provide teachers with cutting-edge resources that will increase student awareness about sea turtles and marine conservation. 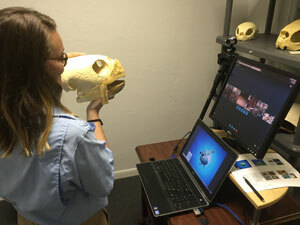 InterACT with Sea Turtles: Distance Learning for K-12 takes an interactive, multimedia approach to sea turtle education using a virtual collaboration system to directly engage students in the classroom. The goal of InterACT is to create an informed, proactive youth that will support sea turtle conservation and become environmental stewards. This program will target educators with free online resources, access to expert staff and comprehensive lessons plans that make sea turtle education fun and informational. STC will be develop interactive curriculum, purchase hardware, conduct free virtual presentations, create visually-appealing content, and produce Florida-specific curriculum and activities for teachers. In addition, the virtual field trips will be followed by surveys that will allow us to measure the program's success and continuously improve content and functionality. InterACT will make sea turtle education accessible to educators and remove geographic barriers, allowing STC to reach a wider audience and expose more students than ever to sea turtle and marine education, with the ultimate goal of fostering a sense of stewardship for the environment. Results: The full implementation of this project has been completed. STC worked with a teacher to develop three lessons that will are the basis for the InterAct programming, purchased equipment, sea turtle replica props, developed two animations related to the lesson plans, and designed a backdrop for the video presentations. Receipts not provided with the 6-month are included and a screen shot provided by a teacher has been submitted. All lesson plans and animations can be viewed online at http://www.conserveturtles.org/educators.php?page=distancelearning. Since the program became live in April, date STC has given ten distance learning presentations to classrooms and summer programs, representing over 300 students. In addition, two classrooms and one school district have contacted STC about programs to be conducted in the Fall.